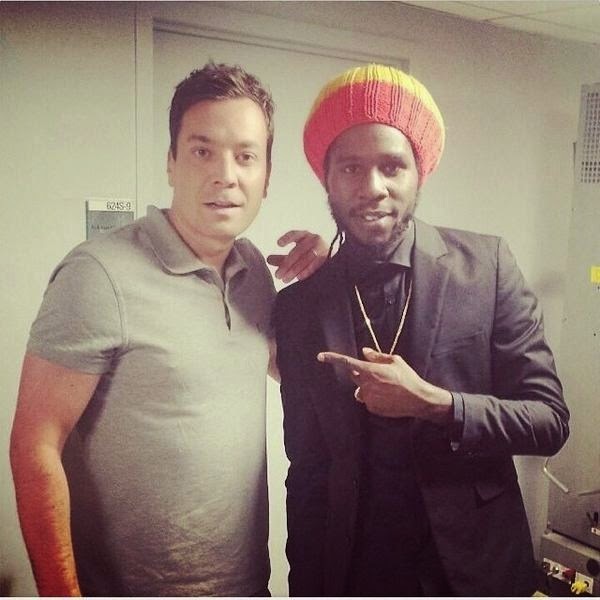 Congratulations are in order for Chronixx making his US TV debut on NBC 'The Tonight Show' performing for millions across the United States of America and beyond. A career shift some say for the 21 year old but what else makes this appearance/performance more than just a career shift for Chronixx? Well in our opinion, Chronixx obvious mission of serving purpose. Apart from "recruiting soldiers fi Selassie I army...and...executing Selassie I works and build Rastafari troops," we take special note of the fact that another of his trait is highlighting his peers, elders and/or other Jamaican artistes and their music whenever the spotlight turns on him because "I can't do it alone" he sings on track 'Here Comes Trouble.' Chronixx selflessness is commendable and great for the music in general. 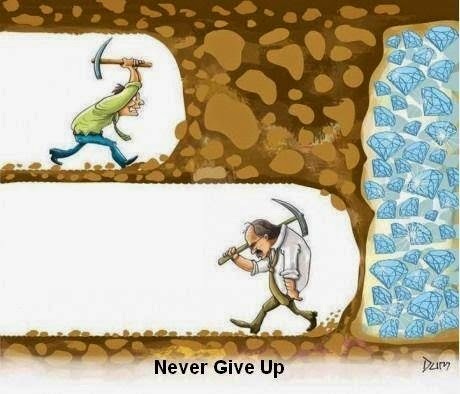 One last post for tonight. Reggae was never dead or dying. And you don't have to take RASTA out of the music to please no MEN! Give thanks to everybody who every believed in our music! Give thanks to my brothers and sisters #zincfenceRedemption and # ZincfenceRecordz @ChronixxMusicGroup. This is JUST THE BEGINING. Let us all remain humble in the presence of the almight...knowing that The Lord God Jah Rastafari is always with us! We share this view, Reggae was never dead or dying. This is a genre that gives and bares all. It teaches, bring nations together, inspires, motives and uplift. Music of such potency can never die but will live forever and ever. 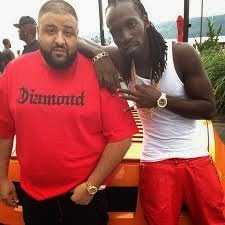 Mavado got heads turned when he announced via social media that he will be working with hip-hop's great, LL Cool J and Pop Star Rihanna. His collaboration with LL Cool J 'The Hustler' has hit the streets and sounding good. This is yet another good move for the genre as well as for Mavado and we just can't wait to hear his and Rihanna's joint. promoters of Reggae Sumfest, for his "sterling contribution" to reggae music. 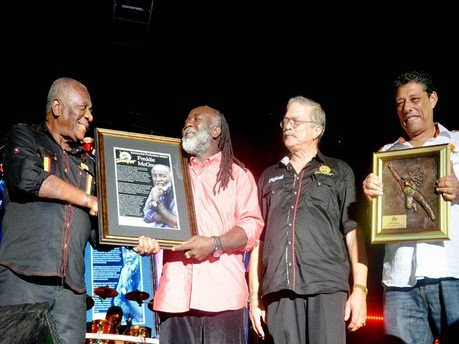 He received the award before his "polished and professional set representing Jamaica's music throughout the decades [Reggae Festival Guide]" performance which brought the five-day music festival to a close on International Night 2, Catherine Hall Entertainment Centre in Montego Bay.